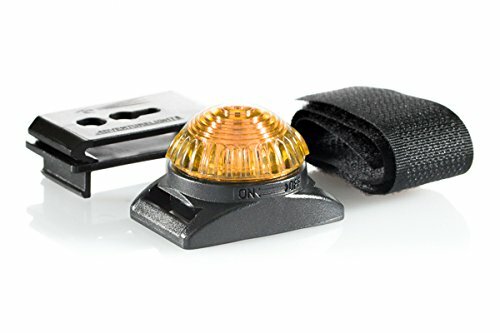 The Adventure Lights Guardian Dog Collar Light is the toughest light of its kind. Waterproof to 300 feet (100m), impact-resistant and able to withstand extreme temperatures. Each light comes with a battery pack (2 x 2032 lithium) utility clip and Velcro strap for attaching to collars, harnesses and leashes. Function is changed from steady-on to flashing by simply flipping over the battery. When being seen is a priority, this light will flash for up to 240 hours or stay steadily illuminated for 100 hours. This sturdy and lightweight product was conceived for the military, where it is still widely used today. View More In ID Tags & Collar Accessories. If you have any questions about this product by Adventure Lights, contact us by completing and submitting the form below. If you are looking for a specif part number, please include it with your message.